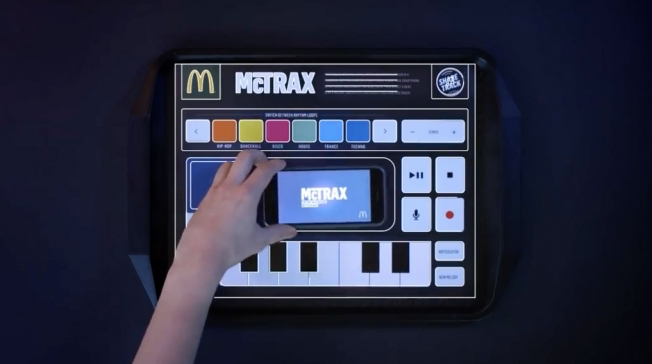 McDonalds McTrax #MusicMonday « Adafruit Industries – Makers, hackers, artists, designers and engineers! TBWA\Neboko in the Netherlands created McTrax. The placemat, developed with This Page Amsterdam, uses conductive ink, a small battery and a thin circuit board with 26 digital touchpoints. You put you phone on it, download an app and make music with in-house produced audio loops, synths and musical effects. You can also record your own voice.